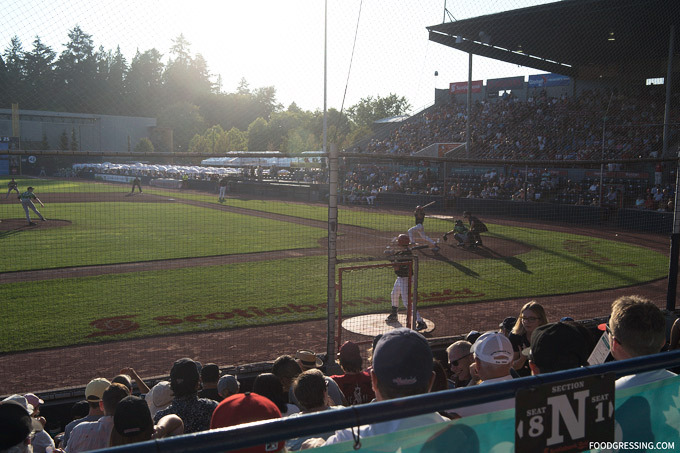 Headed to a Vancouver Canadians game this season? 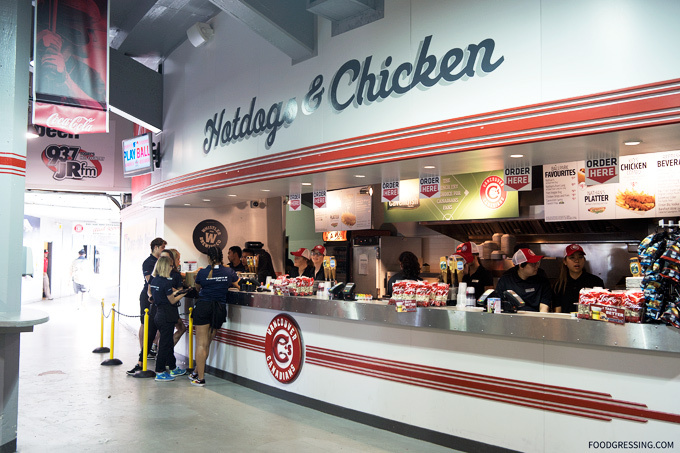 You never have to sacrifice a yummy meal to catch a ball game in this city. 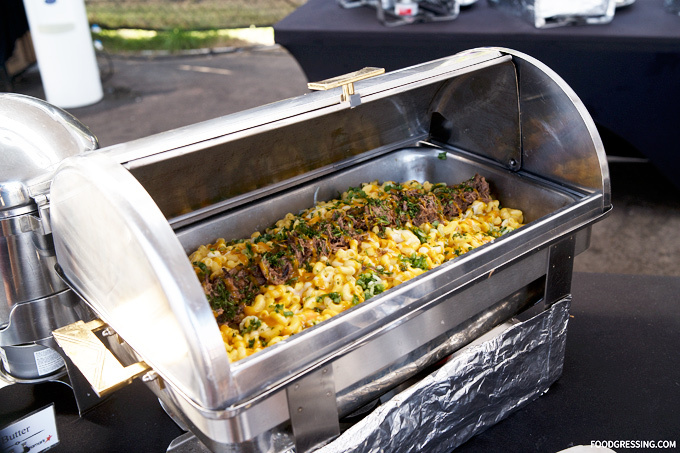 Last week, I was invited to attend a media tour to see what they’re serving up this year at Nat Bailey Stadium. 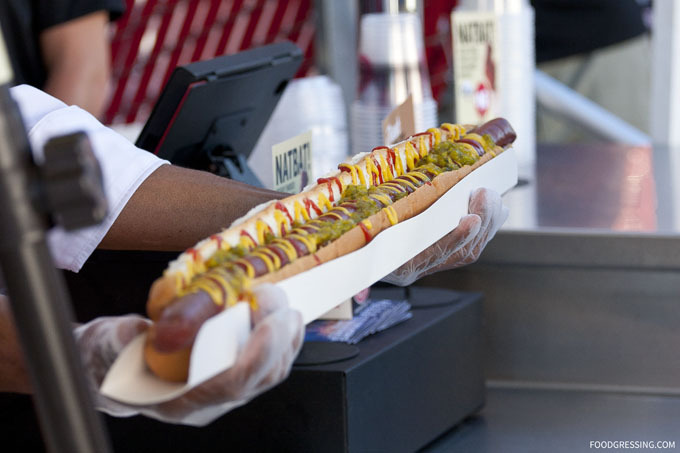 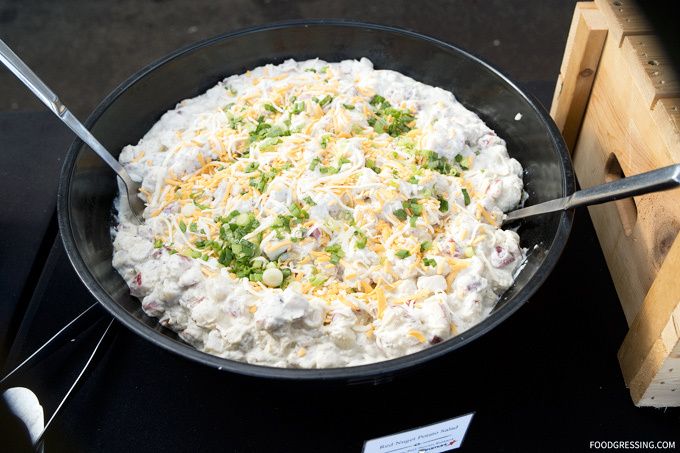 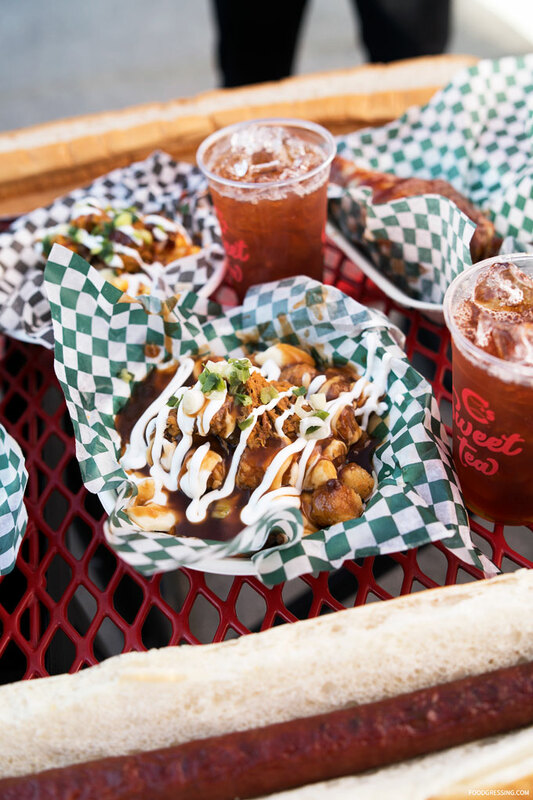 From 3 foot long hot dogs, pulled pork tottine to the new Oreo Churros and Sweet Tea, here’s a look at the food options available when you attend your next Vancouver Canadians game. 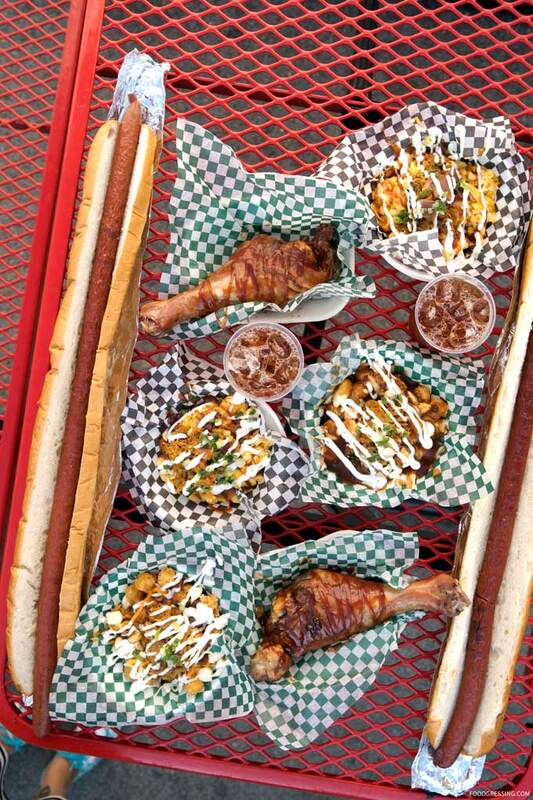 This season’s top picks include some old favourites and new menu items. 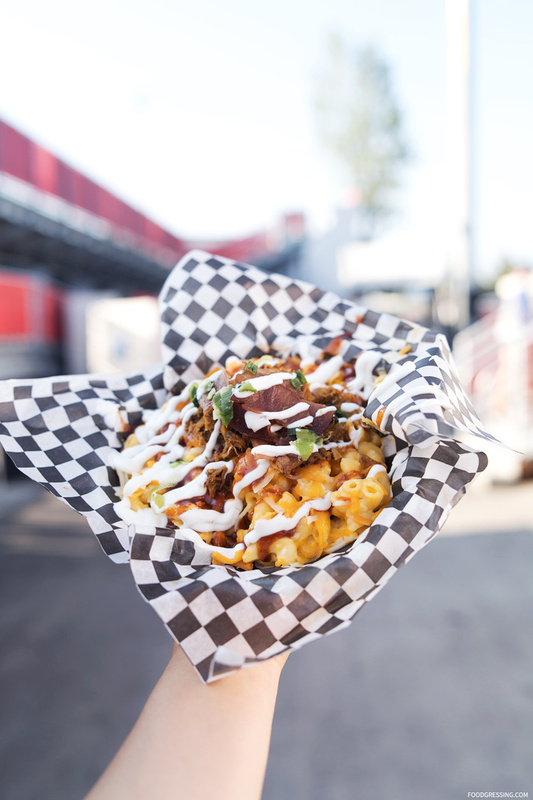 This twist on the mac n’ cheese is topped with smoked pulled pork, bacon chunks, tangy gold bbq sauce, parsley, green onions and sour cream. 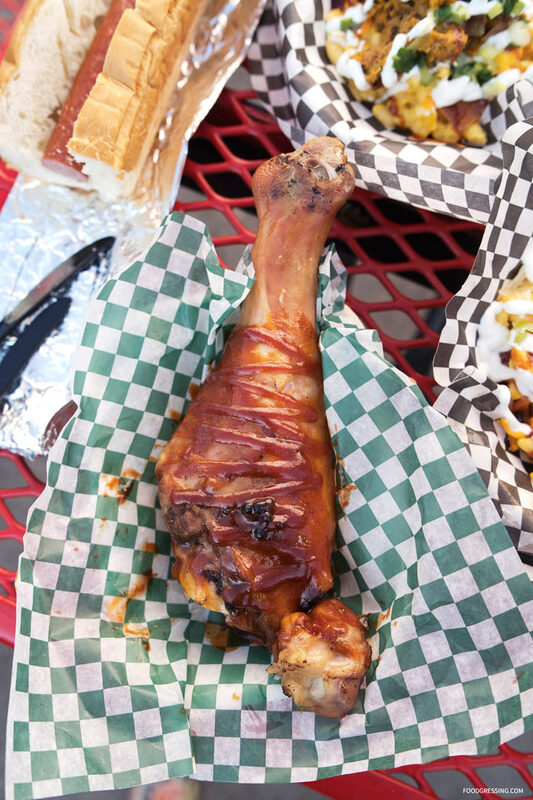 Smoked Jumbo turkey legs smothered in Coors Banquet BBQ Sauce – need I say more? 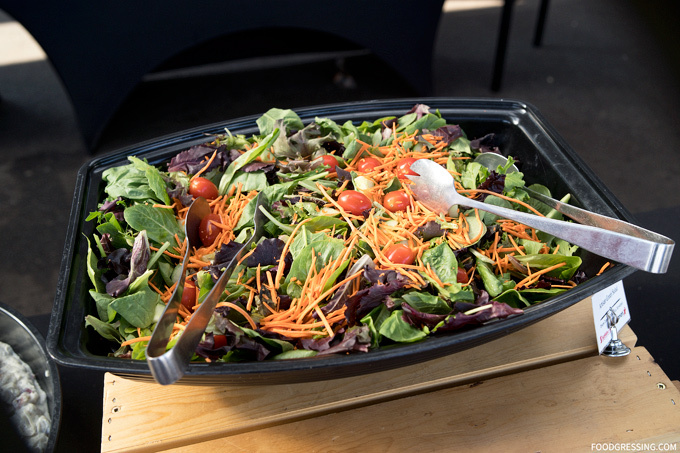 Perfect for sharing with friends or enjoying on your own if you are up to a challenge. 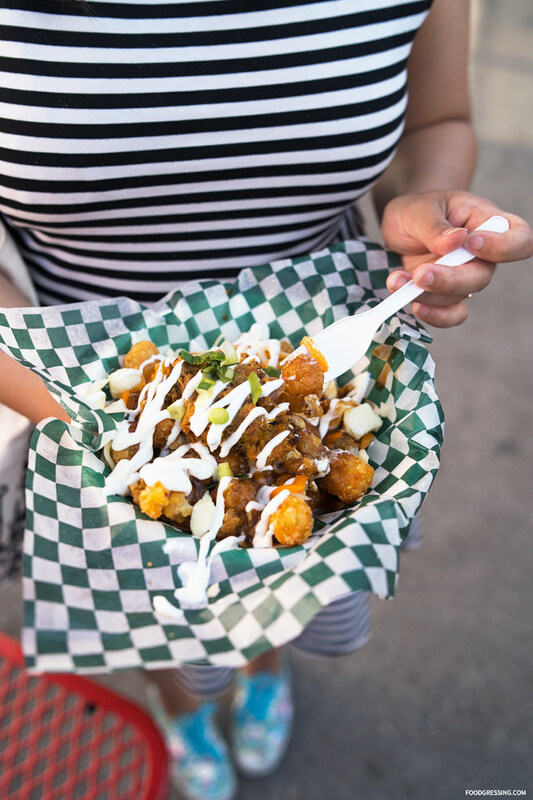 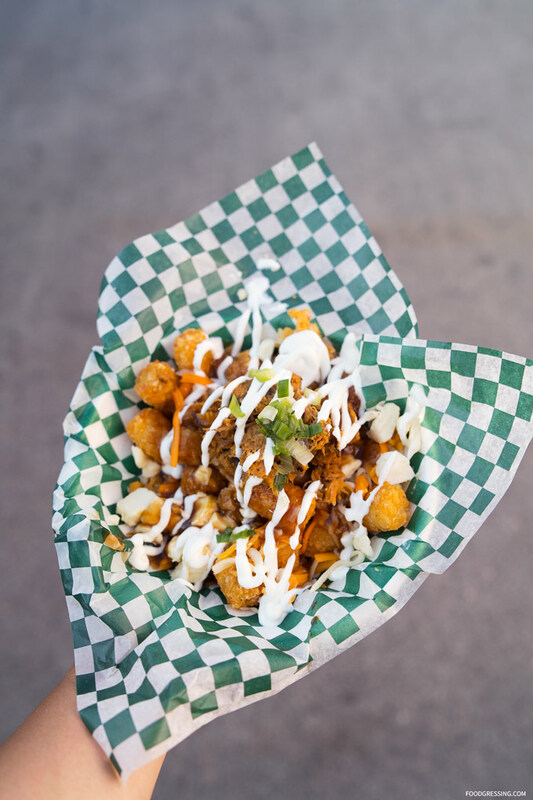 My personal favourite featuring Cavendish tater tots, smoked pulled pork, gravy, cheese, green onion and sour cream. 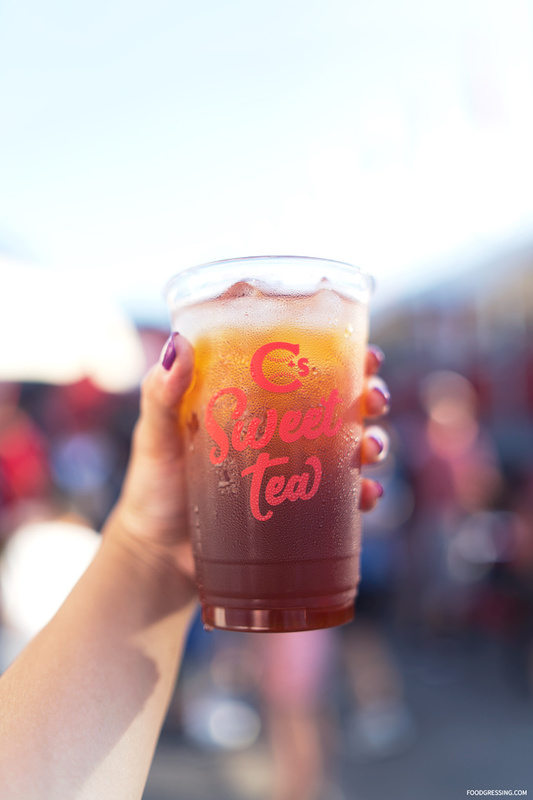 New this year at Nat Bailey Stadium are the Oreo Churros and Sweet Tea. 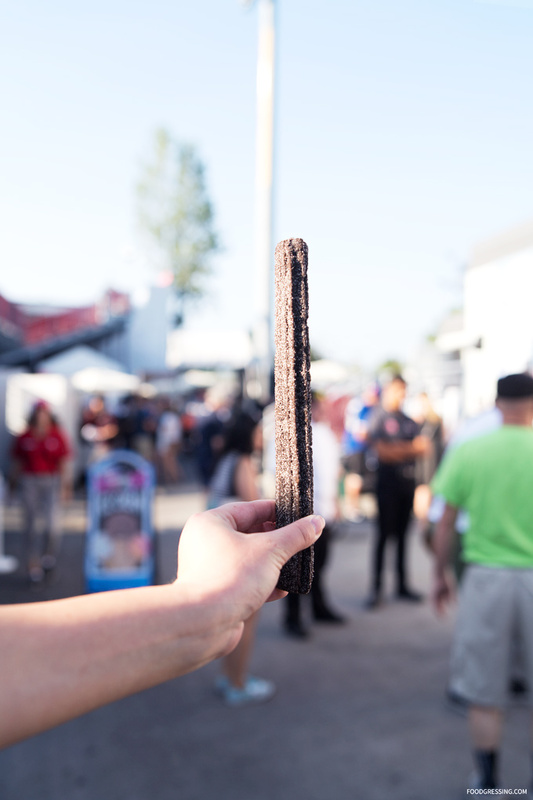 Move over ice cream because Churros covered with Oreos should be the go-to dessert at the Nat. 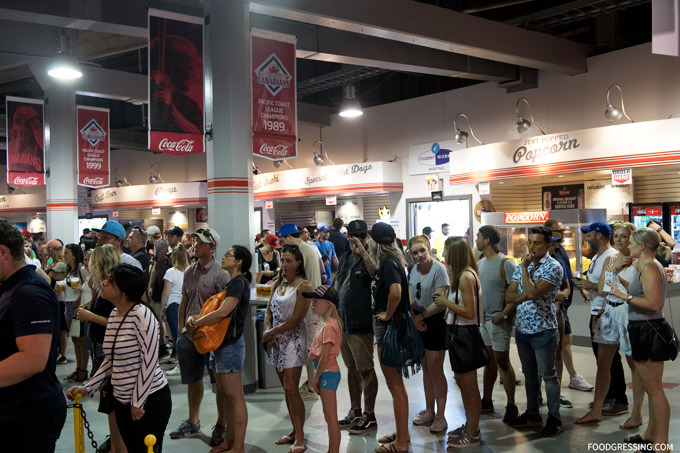 The Vancouver Canadians BBQ Picnic In The Park has become the most popular group experience out at Scotiabank Field at Nat Bailey Stadium during the summer season. 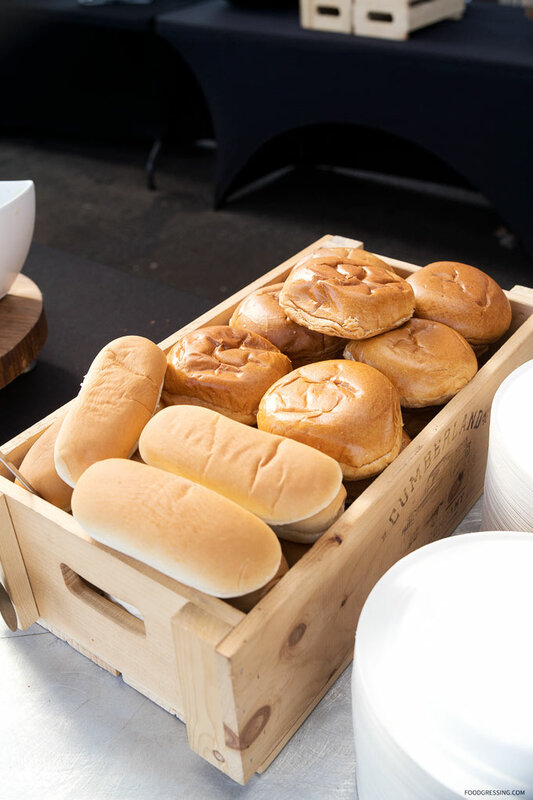 This area is perfect for hosting team-building staff events, client appreciation parties, team wind-ups, birthday parties and reunions for groups of 30 to 400 guests. 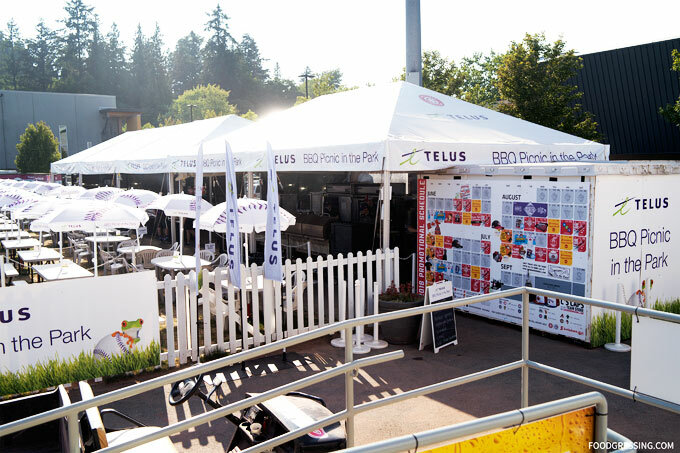 The Park features an all-you-can-eat BBQ, walk-up service bar, and your own section in the picnic area complete with tables, chairs and umbrellas. 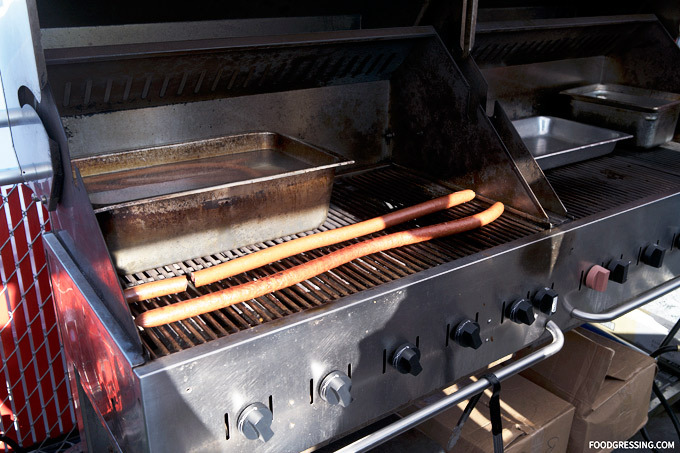 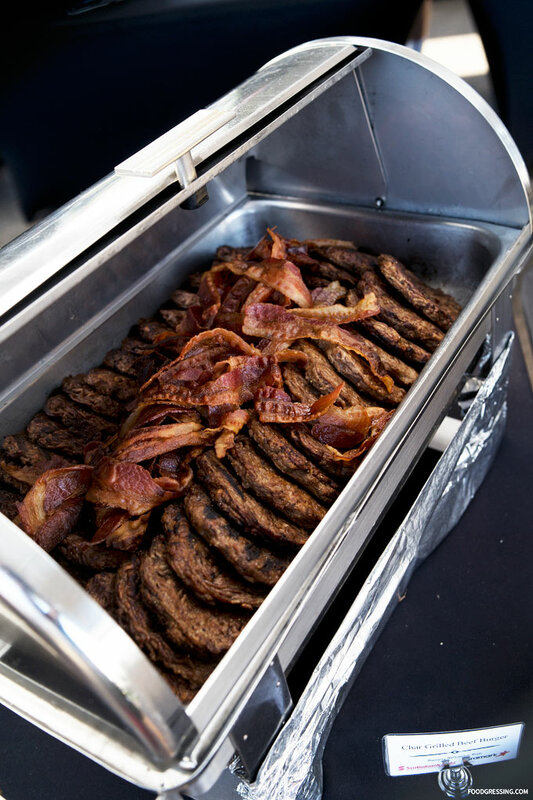 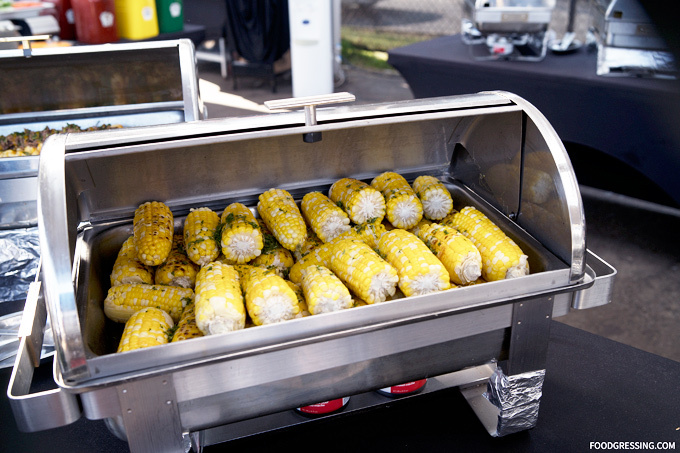 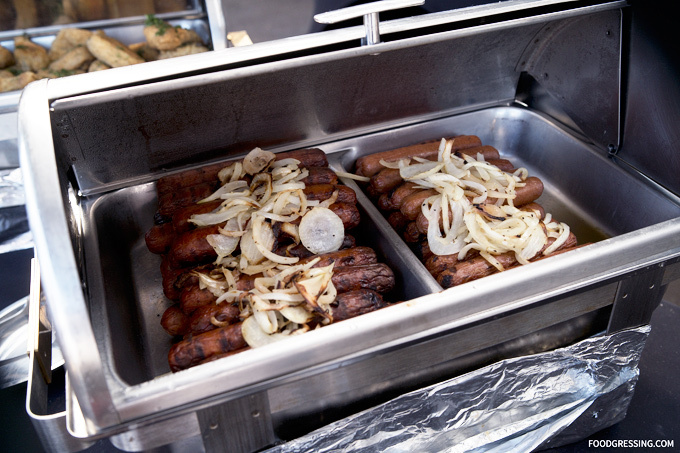 Food options include seasoned BBQ chicken, seasoned BBQ chicken, char-grilled hot dogs, corn on the cob and more. 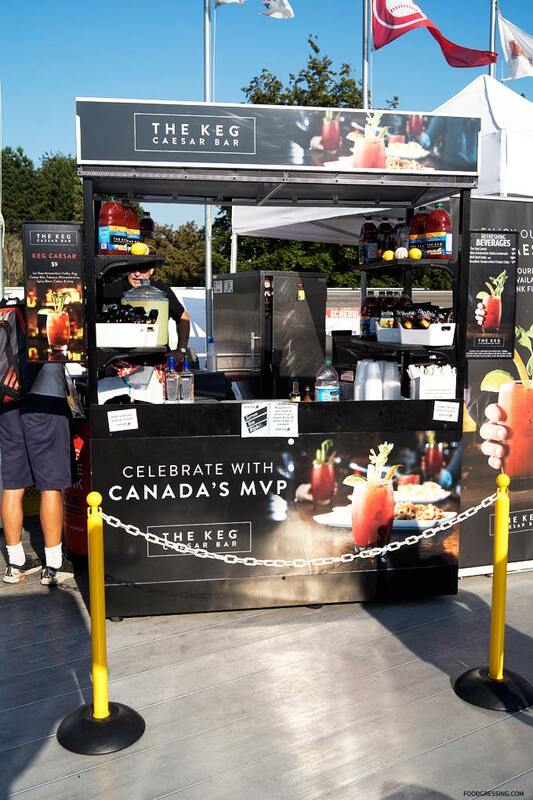 The Keg has a special stand at Nat Bailey serving classic Keg Caesars ($9). 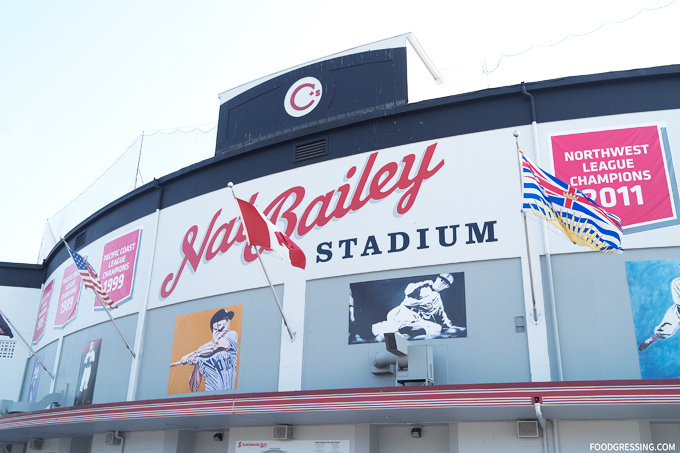 The tasty food options at Nat Bailey will certainly keep you satisfied when you attend a Vancouver Canadians game. 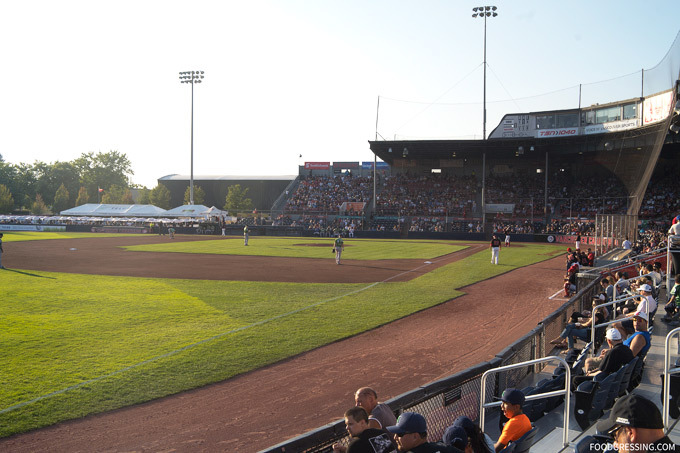 To find out when the next Vancouver Canadians game is happening, visit http://www.milb.com/index.jsp?sid=t435.